Baker’s Evangelical Dictionary of Biblical Theology says that “Adam” is both the proper name of the first human and a designation for humankind.” The Bible specifically refers to two men with the name Adam. God created the first man, Adam … “a living being,” … “a living creature” … from the dust of the ground and “breathed into his nostrils the breath of life” (Genesis 2:7). From the very beginning the first Adam’s relationship with God was dependent upon his absolute faith and obedience to God’s word. God placed the first Adam in the wonderful Garden of Eden giving him dominion over all the earth with instruction that he could eat of “every tree of the garden” with the exception of one, “the tree of knowledge of good and evil” (Genesis 2:16-17). Falling prey to the deception of Satan, the first Adam (and his wife Eve) consciously and deliberately committed the original sin by eating of the fruit of the forbidden tree (Genesis 3:6-7). This blatant violation of the faith and trust relationship that existed between God and man marked the first Adam and collectively ALL of mankind (Romans 5:12) as sinners with the certainty of physical death (Romans 6:23a, Romans 3:23). Thus enters the second man, The Last Adam, The Christ, the Messiah, the Savior, Jesus, the life-giving Spirit from heaven! 1 Corinthians 15:45 (ESV) – 45 Thus it is written, “The first man Adam became a living being”; The Last Adam became a life-giving spirit. 46 But it is not the spiritual that is first but the natural, and then the spiritual. 47 The first man was from the earth, a man of dust; the second man is from heaven. 48 As was the man of dust, so also are those who are of the dust, and as is the man of heaven, so also are those who are of heaven. 49 Just as we have borne the image of the man of dust, we shall also bear the image of the man of heaven. 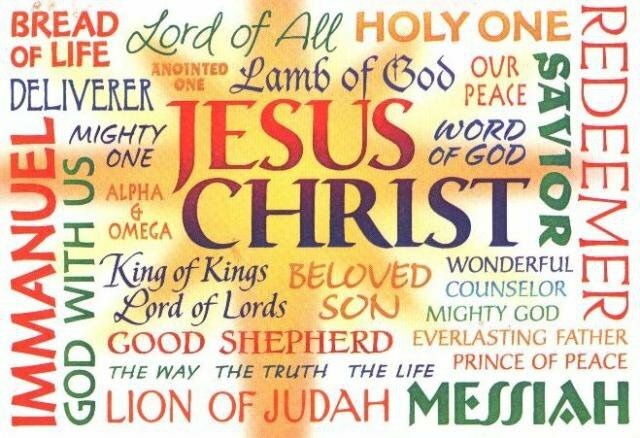 For God so loved the world, that he gave His only Son, that whoever believes in Him should not perish but have eternal life. 17 For God did not send his Son into the world to condemn the world, but in order that the world might be saved through Him (John 3:16-17). As death came upon man through the sin of the first Adam, the forgiveness of sin and eternal life comes through the death and the resurrection of The Last Adam, Jesus (1 Corinthians 15:21-22; 15:45-47) !! Through His great and redeeming love, God made a way for man to be forgiven of his sins and reconciled to Him (John 3:16-17). The first Adam did not have an earthly father (Genesis 2:7) — The Last Adam, Jesus, did not have an earthly father (Luke 1:35). The first Adam was created in the image of God (Genesis 1:27) as a sinless, immortal being — The Last Adam, Jesus, was, is and always will be sinless and immortal; Jesus is the great “I Am” (Exodus 3:13-14). 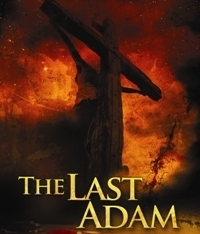 The first Adam was created as a man with flesh and blood to be God’s representative, God’s faithful steward on the earth, and God’s servant that would fulfill His divine purpose bringing Glory to God — The Last Adam, Jesus, was conceived by the Holy Spirit and born of a virgin as 100% man with flesh and blood, to be God’s faithful servant and to bring about God’s redemptive purpose for fallen man. The first Adam was given dominion over ALL of the earth and appointed to subdue the earth (Genesis 1:28) — Jesus, as The Last Adam, will subdue ALL of heaven and earth as every knee will bow to Him and confess that He is Lord to the glory of God the Father (Philippians 2:10-11). The first Adam’s disobedience resulted in physical and spiritual death for man (Genesis 3:19) — The Last Adam‘s death and resurrection resulted in everlasting life for ALL those who repent and believe in Him as Savior (Romans 5:19). Jesus Christ, The Last Adam, freely offered himself as the atonement for man’s sin and purchased eternal life for all who trust Him as Savior. Just as we have borne the image of the man of dust, we shall also bear the image of the man of heaven (1 Corinthians 15:49). Praise God for sending The Last Adam! Merciful Father, thank You that in Your great loving-kindness You sent Jesus as The Last Adam to conquer sin and death and provide THE way for ALL of mankind to spend an eternity with You in Heaven. Hallelujah, what a Savior! Amen and amen. Gallery | This entry was posted in Bible Studies, Christian Devotions, Uncategorized and tagged 1 Corinthinians 15, Bible, bible studies, Christ, christian devotions, Christian living, creation, devotions, divine purpose, Exodus 3:13-14, faith, faithfulness, Father, garden of eden, Genesis 1:27, Genesis 1:28, Genesis 2:16-17, Genesis 2:7, Genesis 3:19, Genesis 3:6-7, God, Holy Spirit, I Am, Jesus, John 3:16, life-giving spirit, living being, living creature, Lord, Luke 1:35, man of heaven, Messiah, names of God, names of Jesus, obedience, Philippians 2:10-11, Religion and Spirituality, Romans 3:23, Romans 5:19, Romans 6:23, salvation, Savior, Son of God, the first Adam, The Last Adam, the tree of knowledge of good and evil, trust. Bookmark the permalink.